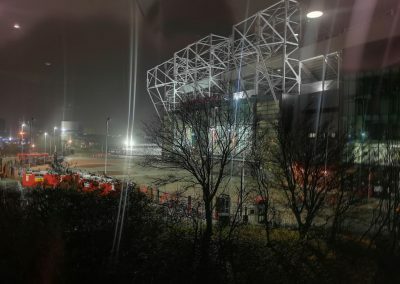 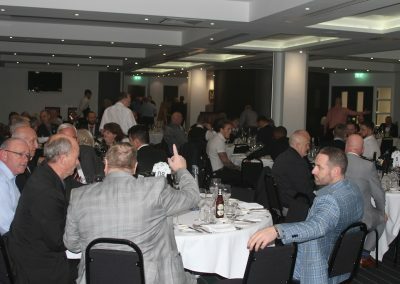 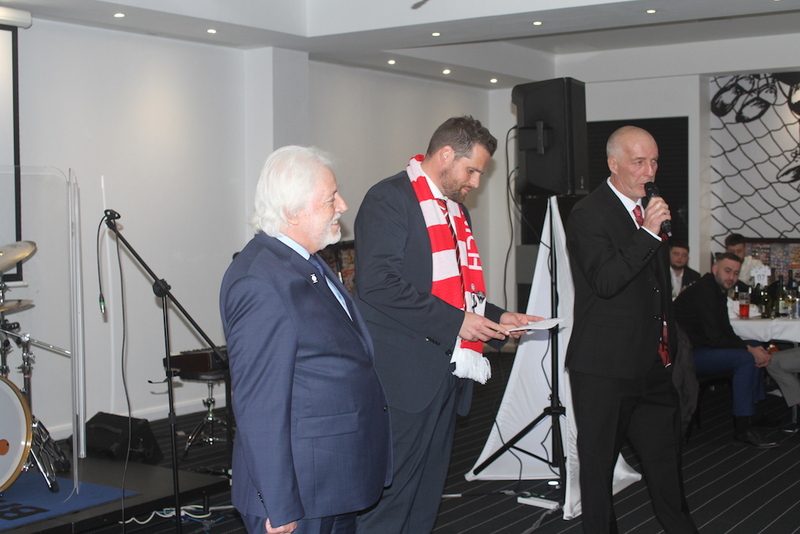 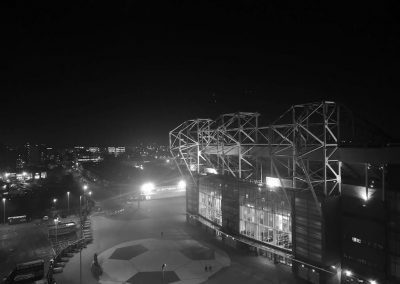 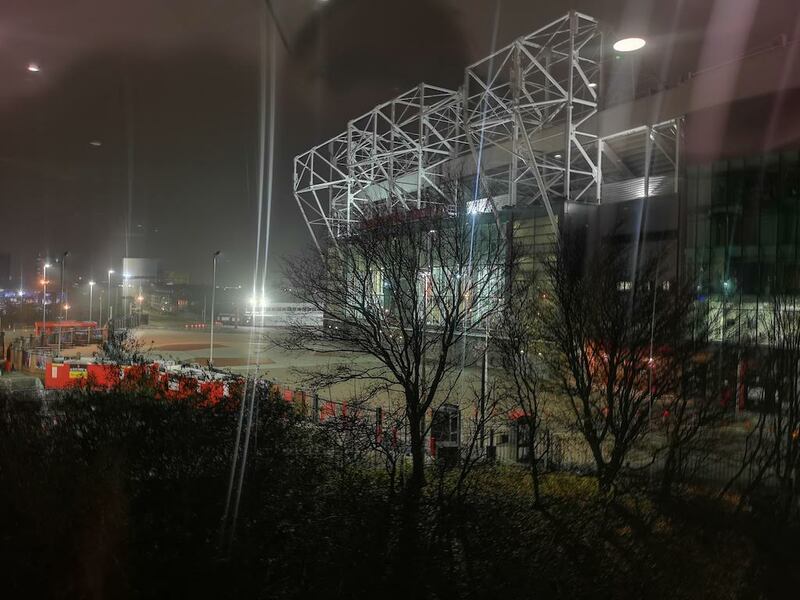 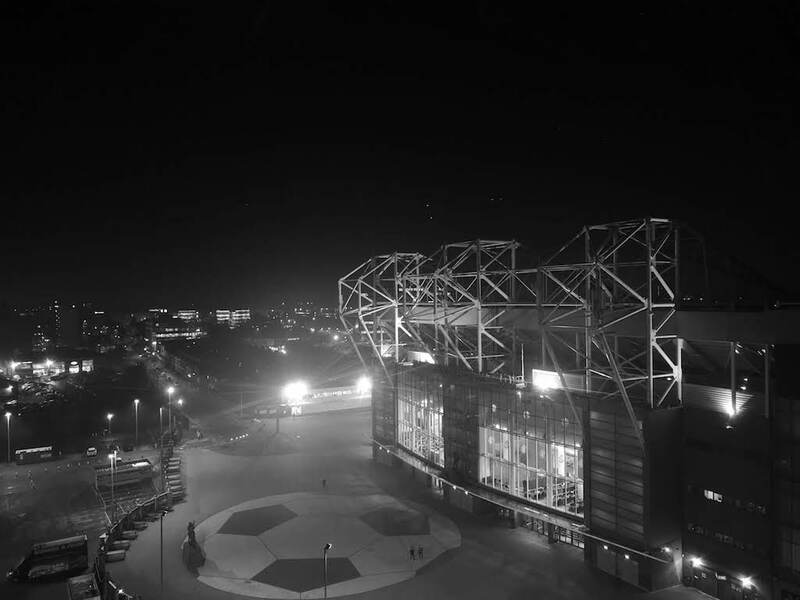 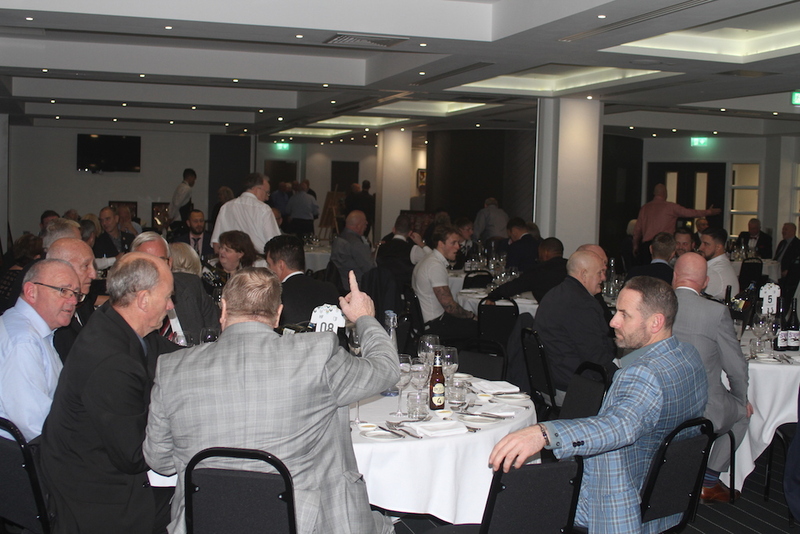 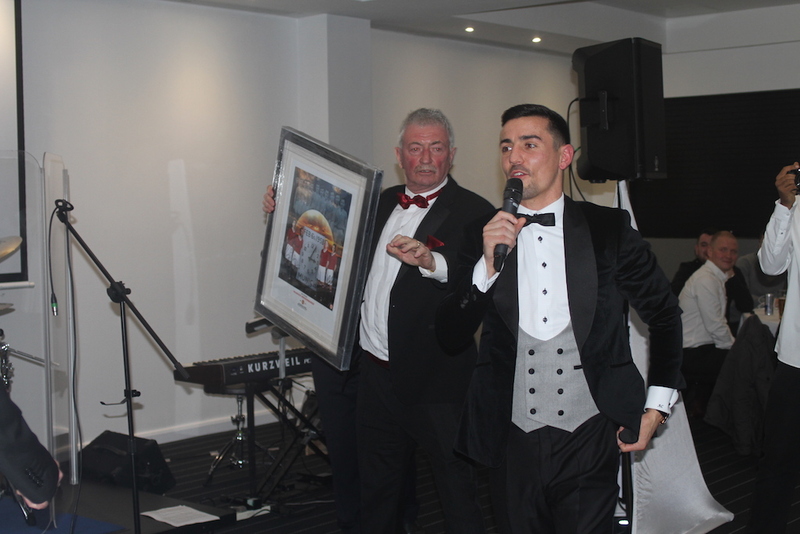 On 23rd November 2018 over 100 people enjoyed a 3-course gala dinner at Hotel Football, a stone’s throw from Old Trafford. 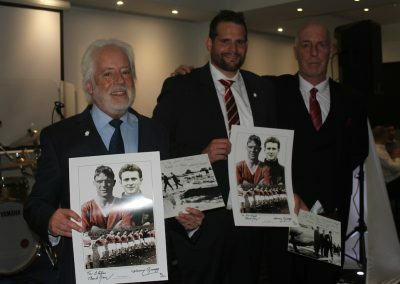 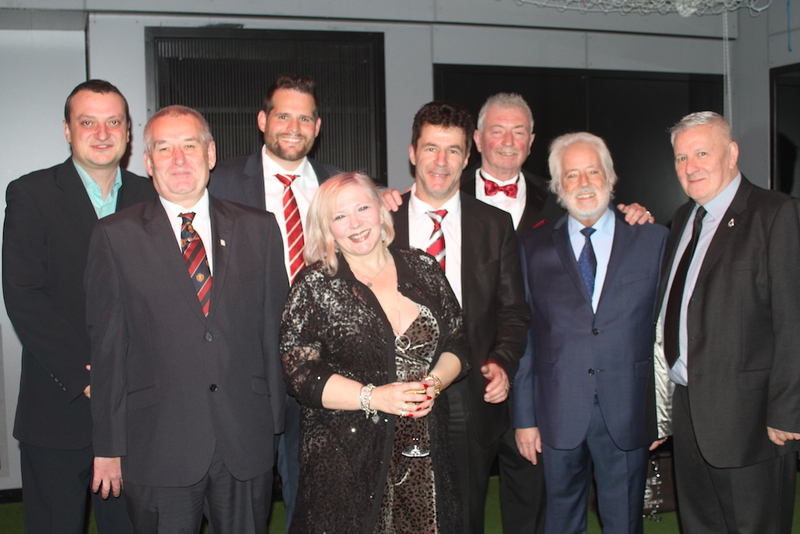 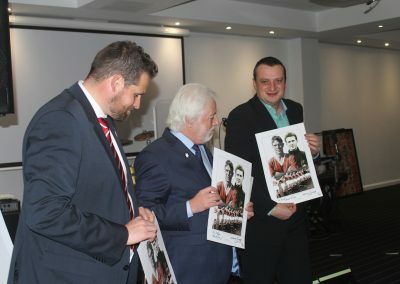 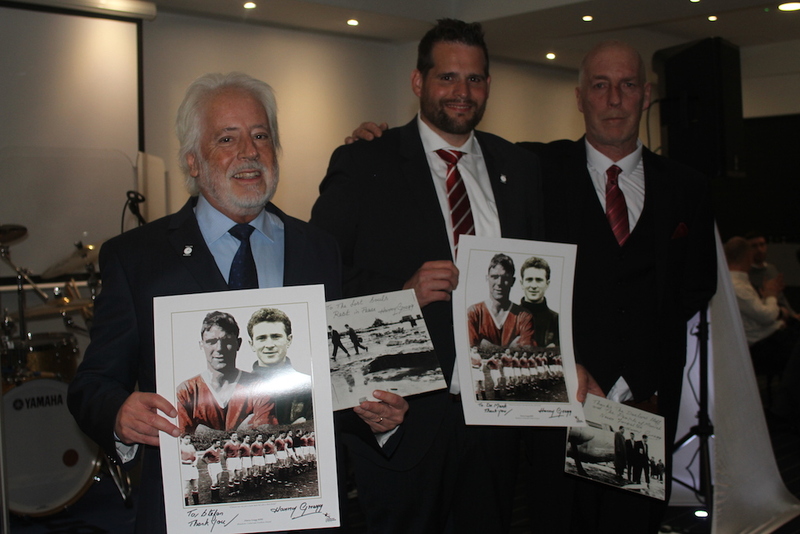 The dinner, which was hosted by the Manchester Munich Memorial Foundation (MMMF) was organised to honour The Red Docs and to thank them for the work that they do on behalf of Manchester United supporters across the world. 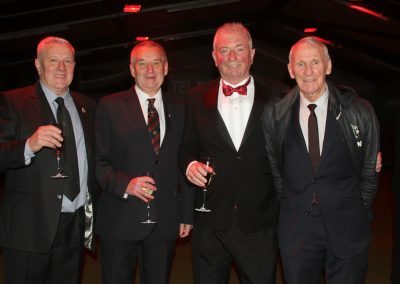 So who are The Red Docs? 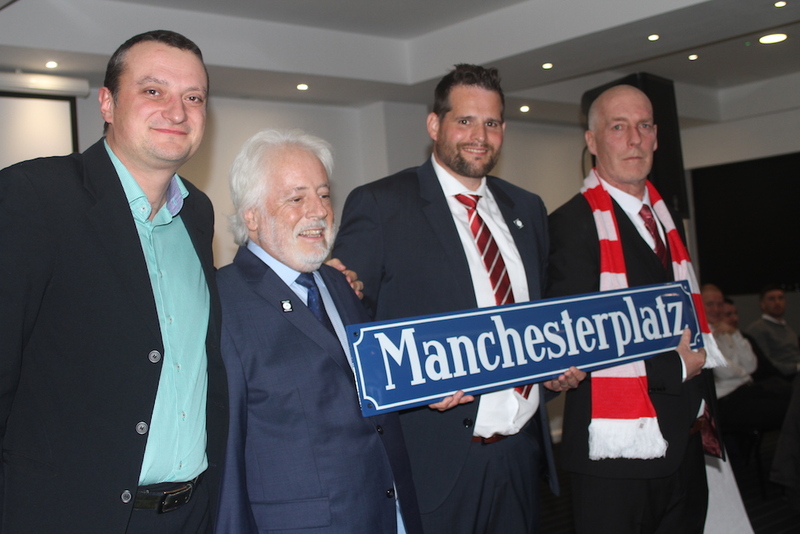 They are a group of doctors who work in the Rechts der Isar Hospital in Munich, the same hospital that “Our Boys” were taken to following the 1958 air crash. 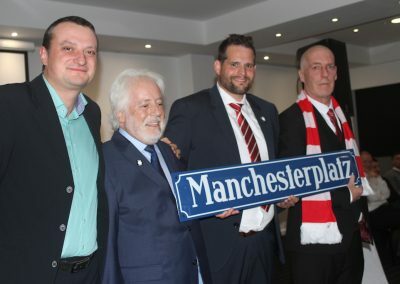 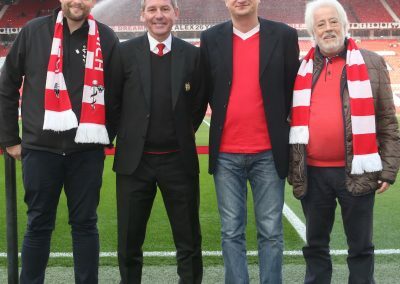 Since 2013 The Red Docs have been the official caretakers of the two Munich air crash memorial sites at Trudering in Munich, ensuring that they are kept clean and tidy and that all memorabilia left by United fans is safely stored and flowers distributed. 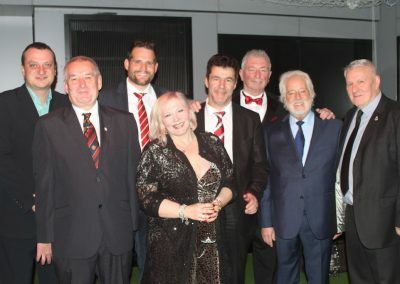 Two of The Red Docs, Dr. Mark Salzmann and Mr. Esteban Kary, attended the dinner as guests of the MMMF along with another gentleman called Emil, who, although not a doctor, also helps to look after the memorial (I think he’s an adopted Red Doc though!). 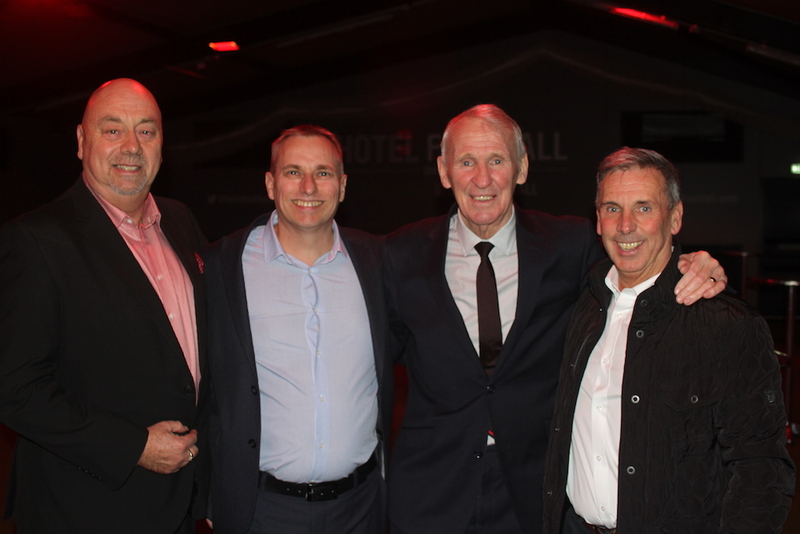 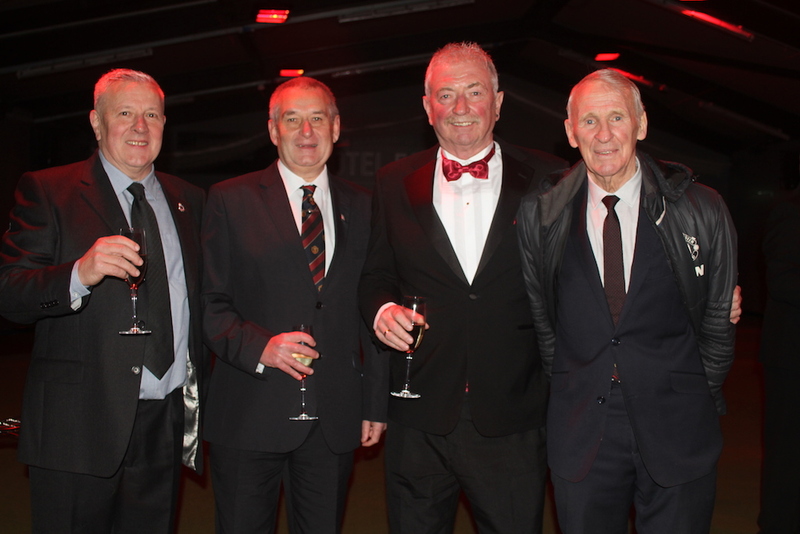 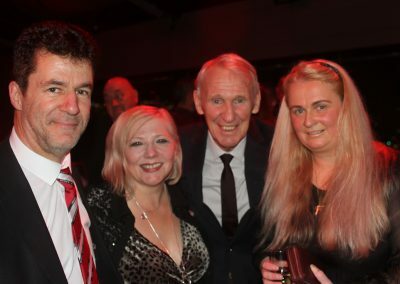 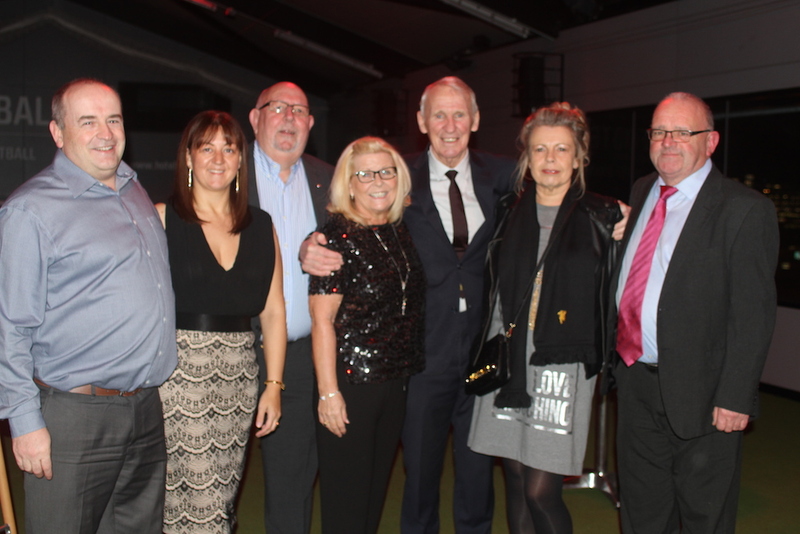 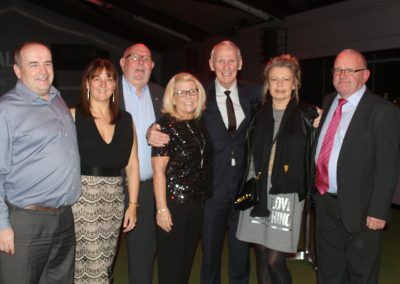 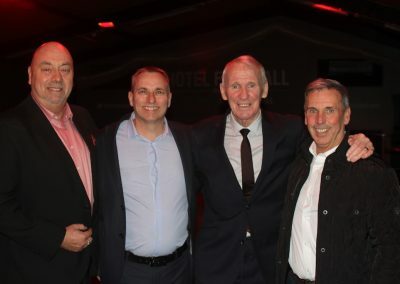 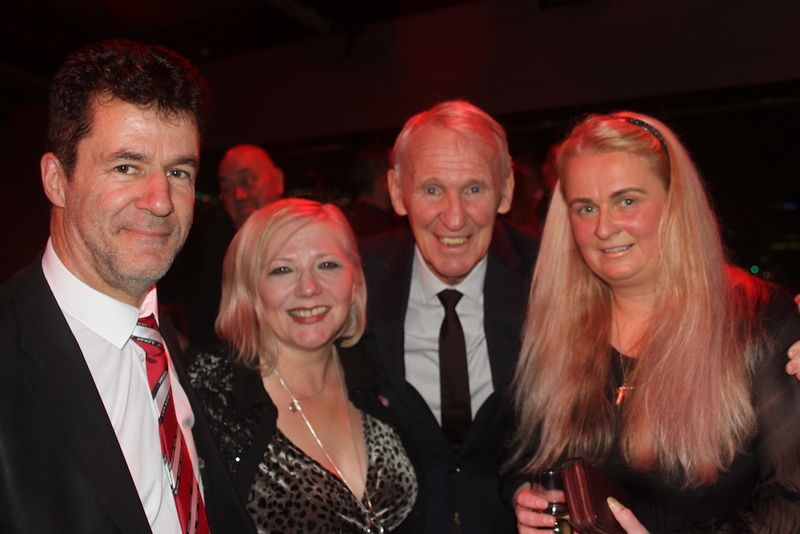 In addition to the Red Docs and Emil, Jane Gregg, daughter of United legend Harry, and Ex-United player Paddy Crerand were in attendance, also as guests of the MMMF. 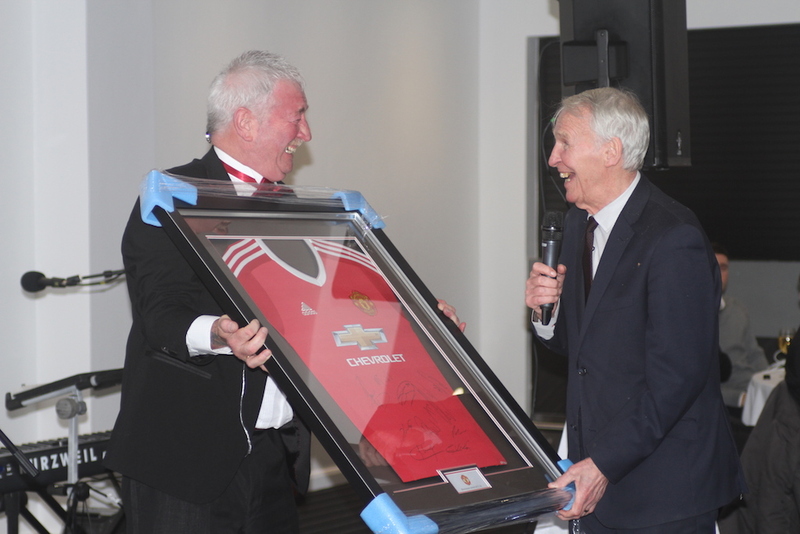 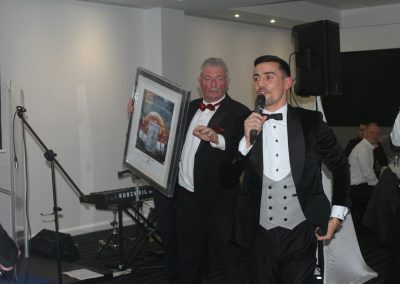 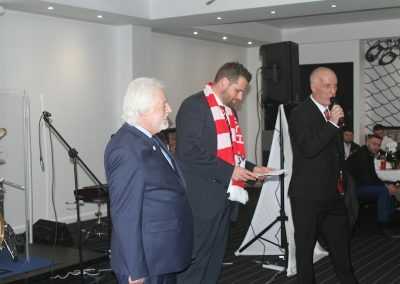 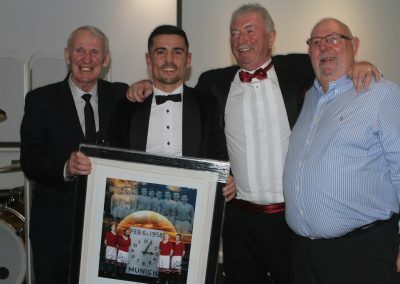 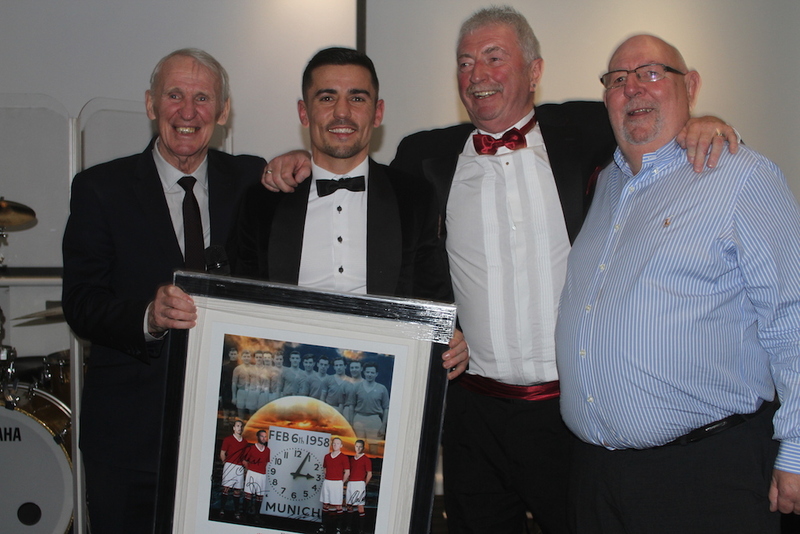 The evening also included an auction of United-related memorabilia which raised over £1,800 for the MMMF’s chosen charities. 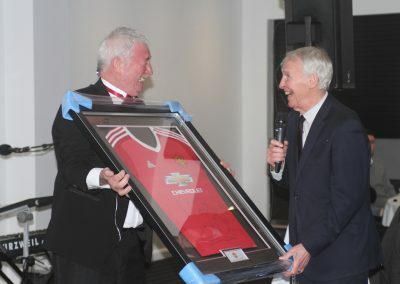 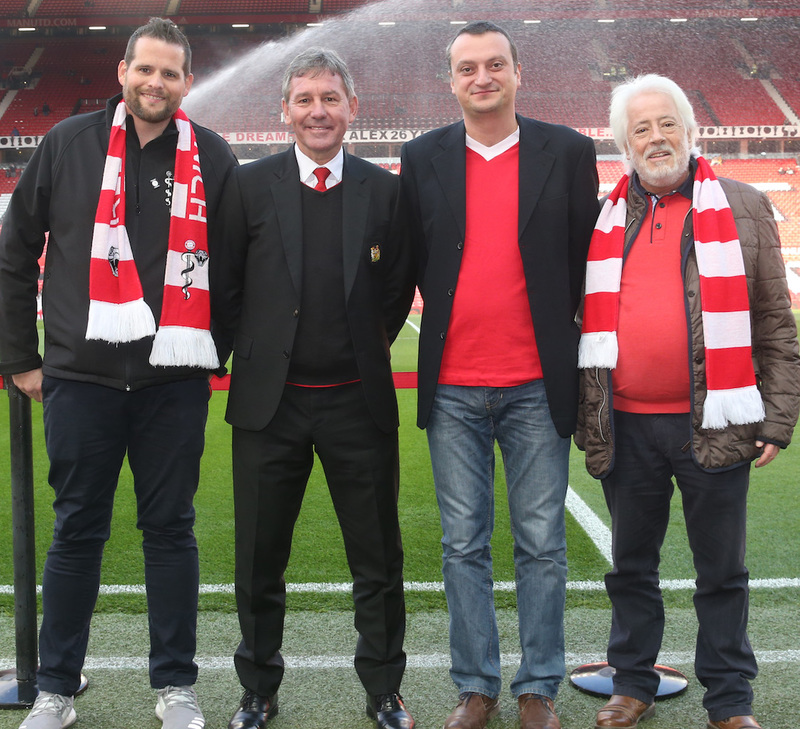 Manchester United hosted The Red Docs as their guests at the game v Crystal Palace the following day where they were presented to the crowd prior to the game as well as being given a personal tour of Old Trafford.